American hip-hop group. 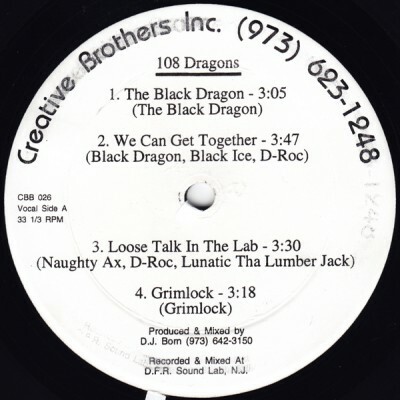 Members are Black Dragon, Black Ice, D-Rock (R.I.P), Naughty Ax, Lunatic, Tha Lumber Jack and Grimlock. comment "108 Dragons – The Black Dragon EP (Vinyl) (1996) (FLAC + 320 kbps)"